Please continue from the previous discussion. This video is a tour of MBJ plus it shows the renovations that's going on in the check in lobby. Great stuff. Eager for them to revamp the departure lounge area that house gates 1 to 4 that desperately needs a face lift. "...But countless Jamaicans on this thread were so enamored with FlyJamaica!" Countless? Don't you think you are being a tad bit melo-dramatic here? One can easily count the number of Jamaicans that post in this forum. I for one was never "enamoured" with OJ. Was more of a wait & see situation for me. It is no secret that OJ despite their generous baggage allowance (that appealed to many), had their work cut out for them. They had fans in this thread yes, but to say "countless" is gross exaggeration. "You know, I've always been consistent from day 1 that I never considered them and I still don't. Just to set my record straight. Ask anyone who've talked to me, search for me throughout here - nothing by dismay toward OJ especially since they never cared for Montego Bay. I'm not a wagonist at all but some I know are and yes, they've jumped shipthat it could be their new National Carrier." Just goes to show some don't read before they type. If they did read they would have known that you were never a fan of OJ. 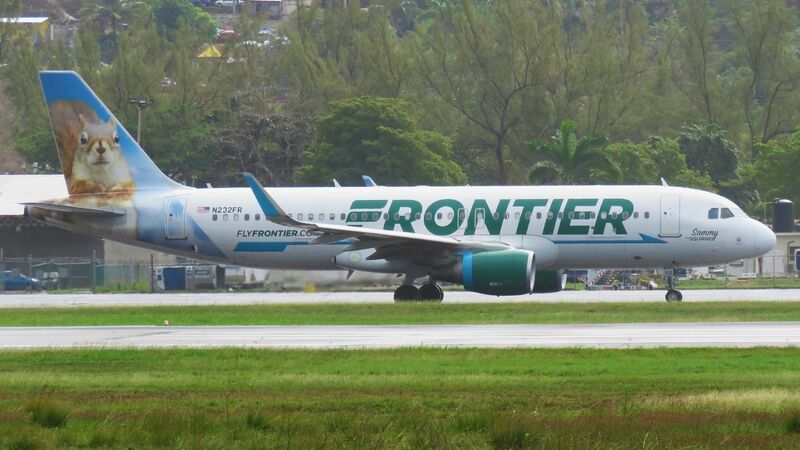 "Officials from Bradley International Airport has new services to Jamaica on their 2019 bucket list." 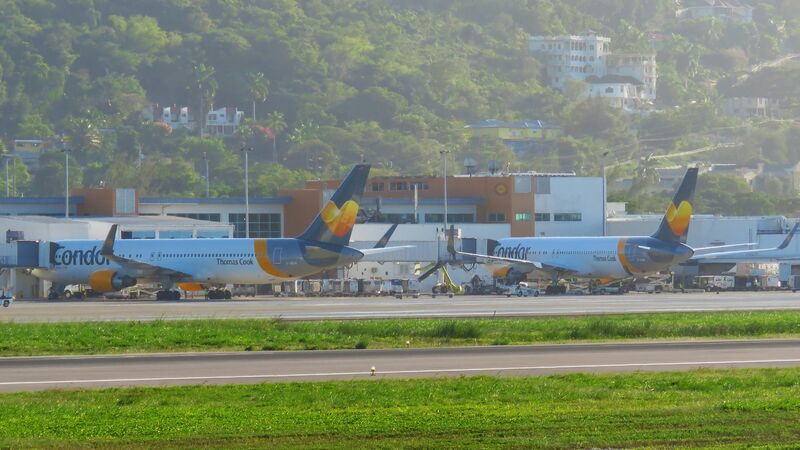 There have been mumbling about BDL service to Jamaica for quite some time now. Let's see if it will materialise. "Fly Jamaica Awarded Half A Billion Dollars In Legal Dispute..."
I wasn't even aware of this situation with OJ & the BPO company. Interesting. I see the OJ fans now run and hide. They weren't boasting about the IPO and telling me that I was wrong when I said it wouldn't happen, They weren't predicting service to GRU, MBJ and BGI when I said it didn't happen, telling me that I was "anti Jamaican". And I wasn't the only one so accused. But that's fine. It is embarrassing to be wrapped in the flag and then seeing that the flag wasn't that clean and so dropping it. A few notes during the Peak Travel Season. -DL started JFK-KIN services with an A320. Quickly up gauged to the B739. Both ATL and JFK-KIN services were operated with the B739 as the inbound JFK aircraft continues to ATL and the inbound ATL aircraft continues to JFK after the RON. - MBJ continued to see increased arrivals from key North American and European markets. They had Swoop( flight was filled with 198 pax) from YHM, NK and WG from DTW and WG from Sudbury . In 2019- The following airlines are looking to add flights into KIN- Air Century, Sunrise Airlines and Inter-Caribbean Airlines. Great video. Amazing how they have transformed MBJ into a world class airport. I am curious when they will announce plans for terminal expansion. Swoop on it's inaugural from YHM with 198 pax. 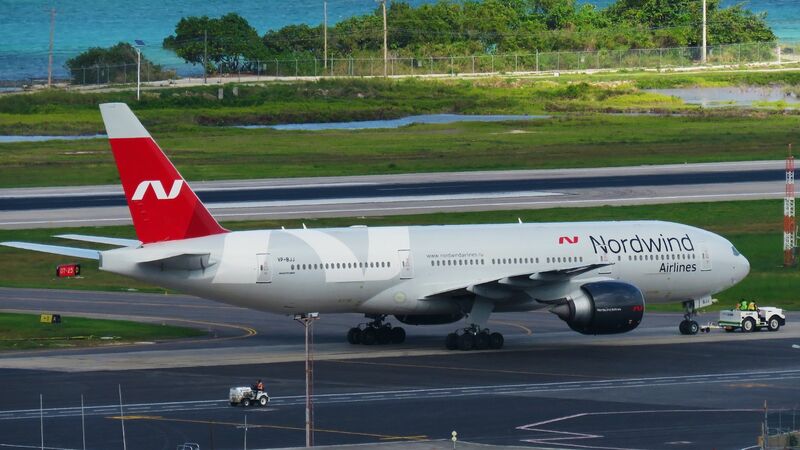 Norwind B772 departing for SVO. Another MAX 8 graces MBJ. Frontier's Sammy the Squirrel enroute to RDU. COPA to Panama. 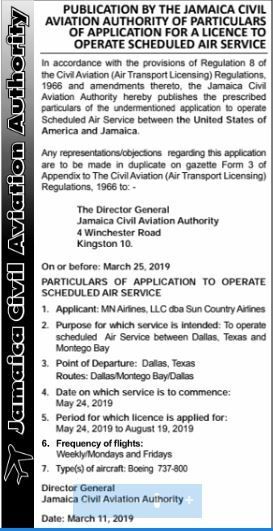 They have notified the JCAA of their plans to use the MAX 9 on flights to Jamaica. Boarding at remote aircraft stand. The sky is the limit, but never stop grasping until you get the glory cloud..
DL started JFK-KIN services with an A320. Quickly up gauged to the B739. Both ATL and JFK-KIN services were operated with the B739 as the inbound JFK aircraft continues to ATL and the inbound ATL aircraft continues to JFK after the RON. DL fares to JFK from KIN are cheaper than the other carriers that operate the route as well by US$100... at least on the days I was checking for my co-worker. More gates are definitely needed! But it's great to see the activity down there. Fly Jamaica hasn't paid their staff their Nov and Dec salaries, and now we are in January. Their 767 is still stuck in Mexico. 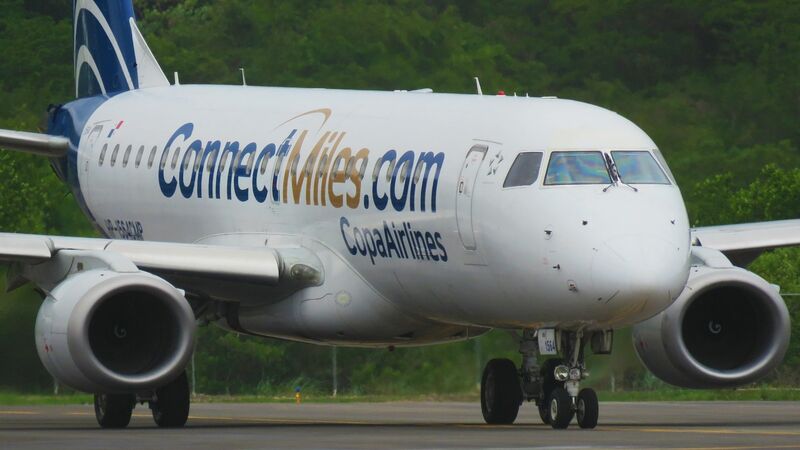 I dont want to say that another privately owned Caribbean carrier has come to an end, but it increasingly looks to be so. Truly sad wish there was another way to prop them up. TO the Jamaican folks here who tooth and nail defended and pushed for Fly Jamaica come on now time to do the same to save the airline. The problems of OJ are a reminder of how very vulnerable small airlines are. When half your fleet is smashed and the other half in for maintenance, you have problems that the big boys would never encounter. And OJ's problems come just when there is additional competition with DL daily on the JFK KIN and AA now into GEO 4x from MIA. CM also increasing flights to GEO. OJ is the size of a mouse compare to elephants like DL and AA, so I doubt whether DL and AA paid much attention to OJ when doing their route planning. DL and AA dont bother with OJ but the passengers certainly notice the alternates. AA is running some competitive fares on the JFK MIA GEO run so folks looking to escape BWs higher fares now have an alternate. I'm not surprised if AA is offering competitive GEO fares in order to attract interest on a new route. Also, NYC-GEO is nonstop on BW 10x weekly whereas AA is 4x weekly with an aircraft change at MIA. BW fares are high and there is some adverse reaction to this. Some who currently explore CM will also look at AA. MIA is a tough airport to navigate through upon entry into the USA. Not for those with small kids and ample hand luggage. I think BW on the JFK is good for now, though this changes if/when B6 jumps in. The JFK GEO has been one of BW's high yield cash cows and B6 will not only grab market share but also crush fares. Out of curiosity are there any airports in the Caribbean that can handle the Airbus A380 aircraft. And if so which Island will possibly get it first. I see they are working closely with Trafalgar Travel promoting their Sky Club and VIP Elite Services at JFK. Bartlett welcomes new tourism records in JamaicaJamaica minister of tourism, Edmund Bartlett, has revealed the Caribbean island saw an 8.6 per cent increase in tourism revenues in 2018.Bartlett told a press conference in Kingston that the preliminary figures from the Jamaica Tourist Board have shown a new record for the industry in terms of arrivals and spend.“At the end of December 2018, Jamaica had 4.31 million visitors, which represents the second year in a row that the county has had over 4.3 million visitors in a single year,” he explained. Impressive and I believe we should be hitting the double digits in 2 years. Re: Fleming Airport. The Govt will have a tough decision to make and I believe this airport will be relegated to private jets and a few commercial flights. KIN Airport was sold to the Mexicans and they are looking to have a similar success as they did at MBJ. 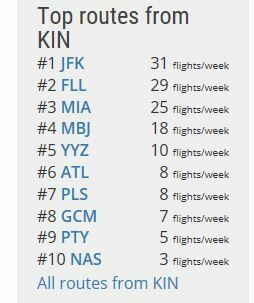 We have not hit the double digits in arrival figures and any new North American routes opened at Fleming will be pulling traffic away from KIN. Doubt the Mexicans will be happy with this arrangement. Re: Kairibiyana Airways. No new news to date. However at a few press briefing one Minister mentioned the runway is being extended to accommodate the Embraer aircraft. hint, hint! Any news on Fly Jamaica. Are they getting any new planes. The B767 should return the end of the month. The area served by Ian Fleming serves a very upscale crowd. Doubt that this will pull away from KIN. Service (maybe AA E175 from MIA) and yes private jets. High fares. 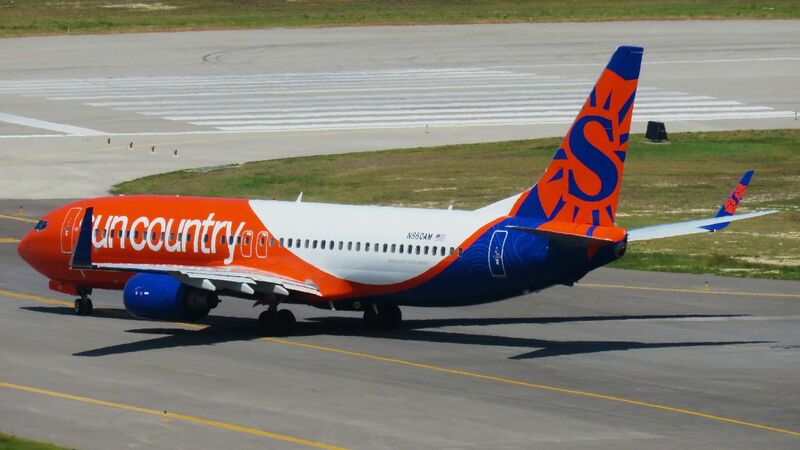 Sun Country will operate twice weekly DFW-MBJ eff MAY24. 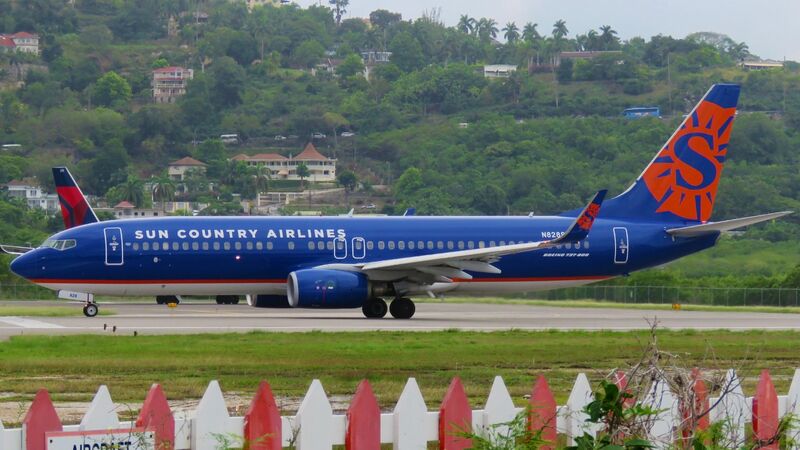 Sun Country will launch twice-weekly service from DFW International Airport to Montego Bay, Jamaica, on May 24 with one-way fares starting at $249. Weekly flights to St. Kitts and Nevis will start on May 25 with one-way fares starting at $219. I can say Sunrise has been dropping applications year after year. Hmm I wonder what is the hold up???? 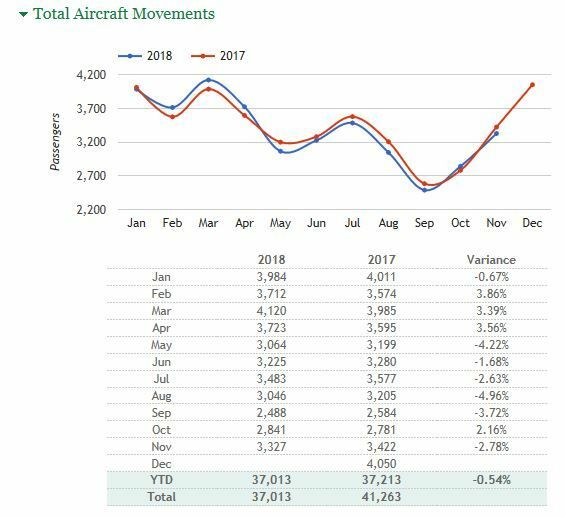 Total Aircraft Movement for MBJ for 2018 excluding Dec 2018. Actually the article states 196 pax, but this may include the crew members. 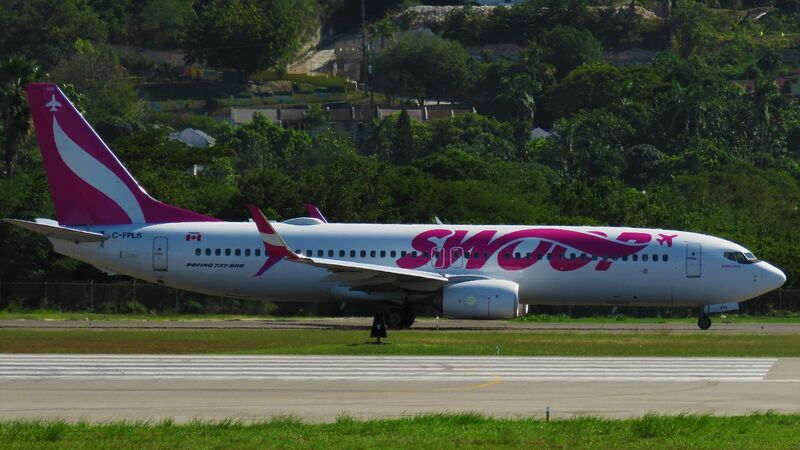 Ultra low-cost carrier Swoop, made its inaugural flight from Canada into the island on Sunday (December 16), landing at the Sangster International Airport in Montego Bay at approximately 12:45 p.m. with 196 passengers on board. A high-level delegation was on hand to greet the passengers and flight crew, presenting them with bead necklaces as gifts. In the next few days I will be dropping the DOT Stats in their uncalculated format. Taken from this week’s OAG thread. I guess this means the suspense is finally over and that OJ is officially no more. The B767 is expected to return shortly, but I believe they got the directive to discontinue ticket sales pending the outcome of the investigations. MBJ experienced inclement weather and a few flights diverted to KIN. 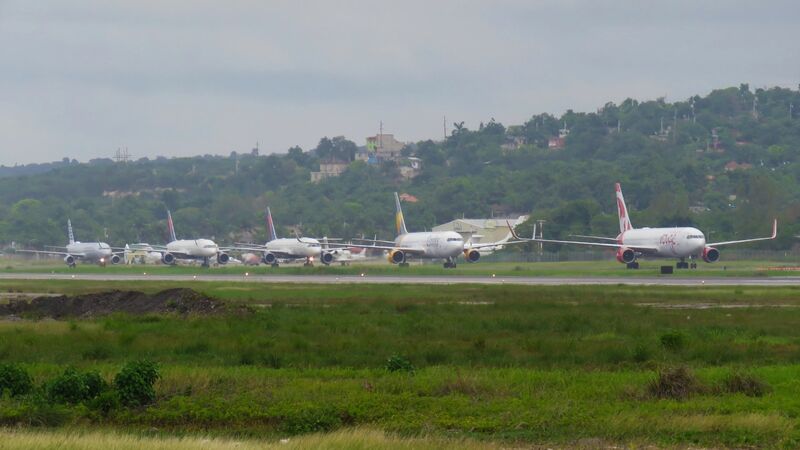 Eight flights destined for Montego Bay, St James this morning had to be diverted to the Norman Manley International Airport in Kingston because of extreme weather condition now affecting the tourism capital. Montego Bay has been experiencing heavy rains since this morning. 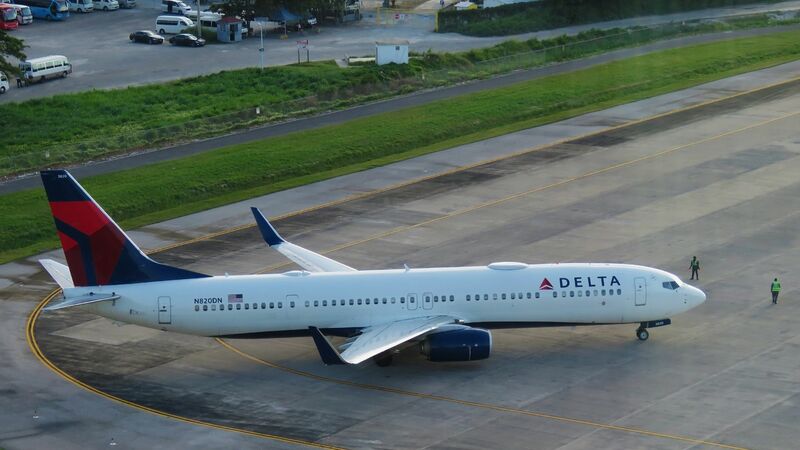 The flights operated by Delta, American Airlines, Southwest, United, Air Transat and Thomson could not land on the tarmac at the Sangster International Airport due to the poor weather. Several persons attending the 37th Caribbean Travel Marketplace in Montego Bay are reportedly affected. NK will start 4 weekly MCO-MBJ in Mar. B6 defending it's turf?? They forgot to mention the 2 flights that had to stop in Grand Cayman. MAN-MBJ is exclusively served by TUI. 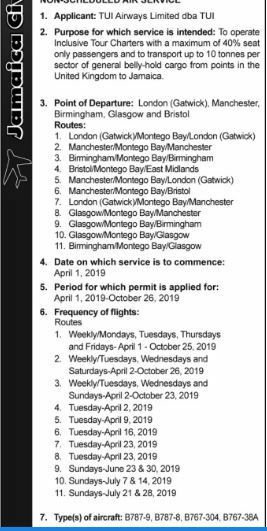 Thomas Cook UK will open MAN-MBJ 1 weekly May 2019. More than 1.78 million people passed through the airport’s three terminals last month, an increase of 7 per cent on January 2018. And it was a host of far flung destinations in sunnier climes that saw the biggest growth. The number of people who jetted to Jamaica grew 19.5 per cent, while in the Middle East 29.8 per cent more passengers travelled to Qatar and 21 per cent to Oman. Top 10 routes from MBJ and KIN. Tower View- EW currently serves MBJ from MUC and DUS. They recently decided to close their Munich long haul base later this year. DL B757WL ready for take off. TS A310. Aircraft is deployed from YYZ and YUL on a regular basis. SY heading out to MSP. I have witnessed charters from IND. Up to 3 flights a day. So it would seem. NK has been aggressively expanding their route network in recent times. B6, WN & NK all have their fan base so let's see how MCO will play out. It's over 2 weeks again - any the web-page is still not updated, giving schedule updates until January 17th&18th 2019. So what's the current status - is the B767 already re-delivered? I believe this will be the first international scheduled flight for Ian Flemmings Airport. 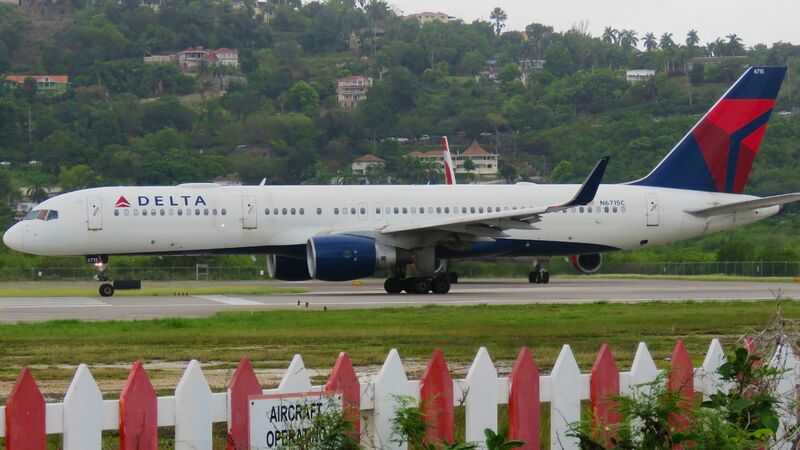 Montego Bay, Jamaica was placed as the seventh destination by airline ticket transactions. Overall, the new analysis found that air ticket sales increased by more than 3.6 per cent compared to the same period last winter. ARC’s study also found that travellers looking to escape cold weather by flying south will pay an average ticket price of US$473, up from US$458 last year. The average ticket price to Cancun is US$441, up from US$438 last winter. The lowest average priced ticket is US$396 to San Juan, also up from US$358 last winter. Average ticket prices for travel to Mexico City (US$409), Los Cabos (US$438), Puerto Vallarta (US$478), Punta Cana (US$639), Montego Bay (US$557) and Nassau (US$470) are also higher than last year. Tickets to Santo Domingo and Aruba were down this year, decreasing approximately US$10 to US$426 and US$540 respectively. This is NK's second time serving the route. MCO-MBJ was operated with their MDs in the 2000s. This article pretty much sums up what is happening behind the scenes. 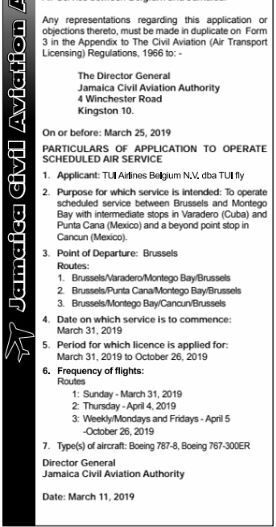 The embattled Fly Jamaica Airways is considering a mid-March resumption as it works to meet its obligations to passengers affected by the disruption of its operations following the crash landing of one its planes at the Cheddi Jagan International Airport, Timehri last November. A representative of the company, who did not want to be named, told Sunday Stabroek that the airline has been working assiduously to meet its financial obligations to those passengers who would have requested refunds for flights that were cancelled by the airline over the past two months. I wasn't aware NK's FLL-KIN is now a year round service unlike the summer/winter only operations they previously had. I am yet to fully comprehend how to interpret the representations above. Lol. 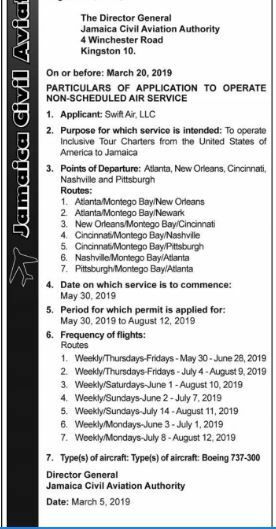 "The airline operates four times weekly: on Monday, Wednesdays, Friday and Sunday between Sangster International Airport and Orlando International Airport. 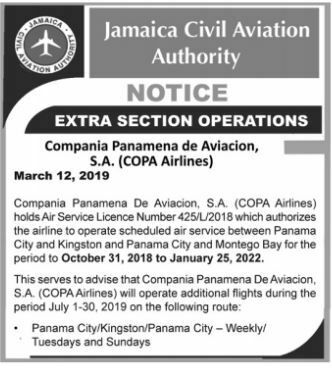 On the remaining three days, Tuesday, Thursday, and Saturday, the airline will be operating between the Norman Manley International Airport in Kingston and Orlando as of this month." Norwind will now operate year round service. Low Cost carrier flooding MBJ with extra seats. Inexpensive fares offered by low-cost carriers are the key reason for the steady increase in tourist arrivals into Sangster International, the airport operator has said. Speaking at a meeting of the Montego Bay Chamber of Commerce and Industry on Wednesday, Dr Rafael Echevarne, CEO of MBJ Airports Limited, attributed the robust activity of US-based Spirit and Southwest Airlines, as well as Germany-based Eurowings, to growth in tourist arrivals to the island via MBJ. Those numbers grew in 2018 by 250,000 year-on-year. 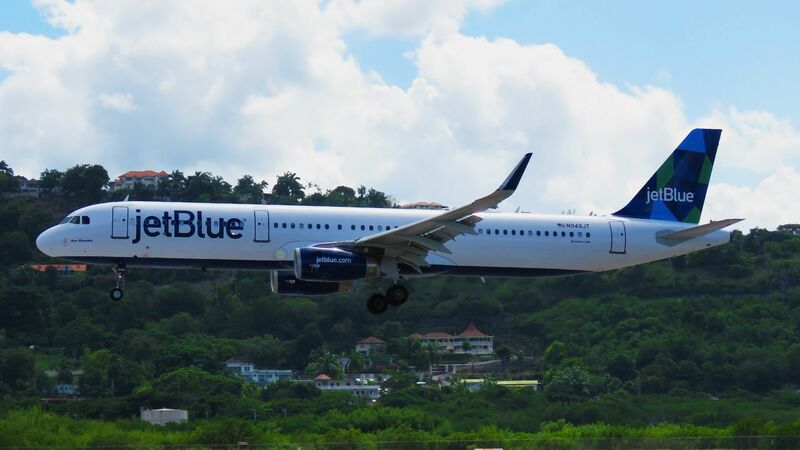 “The ones that are really growing, not just in Montego Bay, but all around the Caribbean, are the low-cost carriers,” Echevarne explained, pointing to the main reason being affordability. For example, US travellers who are Montego Bay bound are able to book flights for hundreds of dollars less than on traditional airlines. A major contributing factor, he said, was the upswing in self-reservations and the emergence of Airbnb. 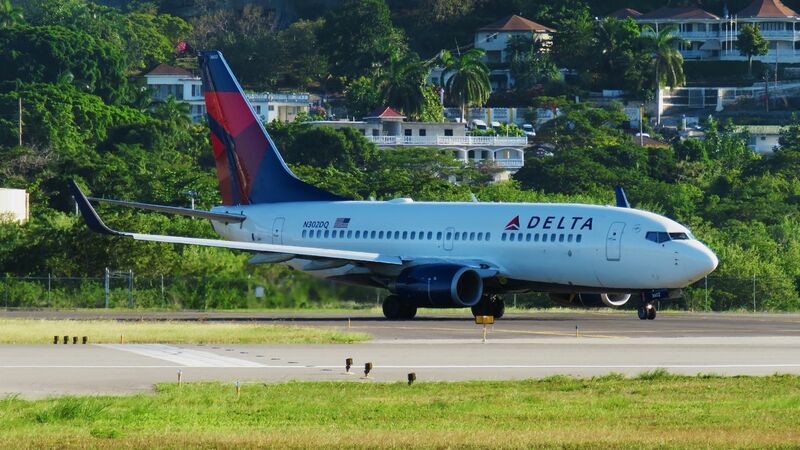 In further analysis, Echevarne said the gateways from which the highest numbers of passengers travelled to Jamaica last year were the ones where the low-cost carriers are permanently based. 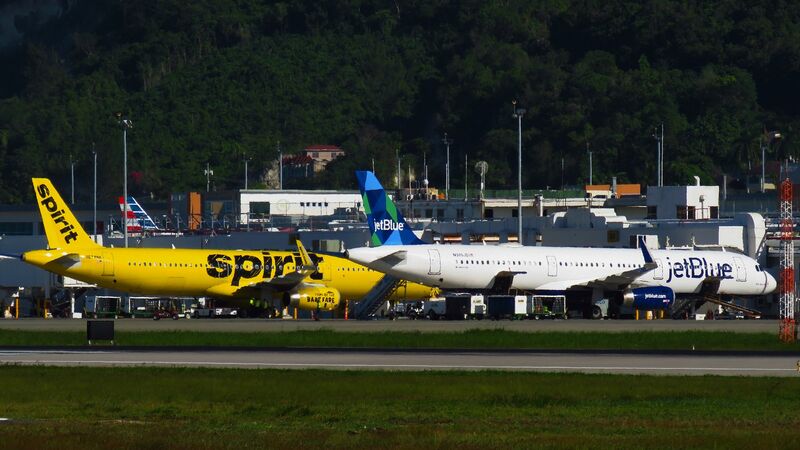 Fort Lauderdale Airport in Florida was a traffic leader, not only because of the heavy concentration of Jamaicans there but because of the numbers brought in by Southwest and Spirit airlines. In addition, Baltimore/Washington, from which Southwest Airlines also flies to Jamaica, has become a major catchment area for the island. Transport Minister Robert Montague has indicated that two major commercial airlines have expressed an interest in operating domestic flights in and out of the Negril Aerodrome in Westmoreland. “We are moving to do some work on the facility (the airstrip). 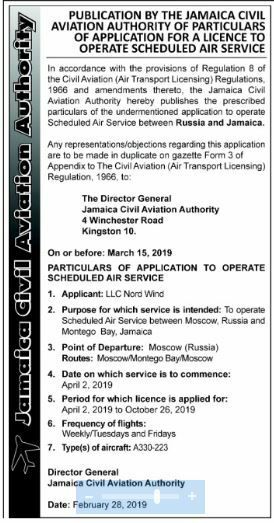 We are in an advanced state of discussion with two commercial airlines which may be using that strip,“ said Montague in a recent interview with The Gleaner. According to Montague, his ministry is now gearing up to commence rehabilitation work on the airstrip, which he said has awesome potential but is being used sparingly for commercial purposes. However, buoyed by the news that the airstrip could be brought back into full use, Montague said there will be no delay in whipping the facility back into shape. The MCO flights are new so it gives a breakdown of the assigned frequencies. KIN-FLL is now showing daily services in Sept and Oct. Yes I vividly recall their short lived MCO-MBJ service back in the day. I was expecting their MCO-KIN to be seasonal, but I understand it's a year round service. They had the water salute & festivities at Norman Manley Int. Airport ..."The airline operates four times weekly: on Monday, Wednesdays, Friday and Sunday between Sangster International Airport and Orlando International Airport.On the remaining three days, Tuesday, Thursday, and Saturday, the airline will be operating between the Norman Manley International Airport in Kingston and Orlando as of this month." Impressive growth from NK into Jamaica. 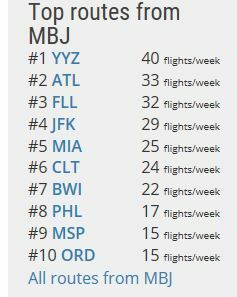 On some days MBJ will see 4 NK flights with services from- DTW, BWI, FLL and MCO. With NK serving MCO-KIN year round not sure how this will impact BW's seasonal services. Welcome back; you were missed. So, we still will have 3 flights on Tuesdays and 1 Wednesday then 1 each day the rest of the week for the most part. That's nice. So, Sunday ops - nice. i just hope they can return to daylight flying so I can get the good shots. Well now, this is very interesting indeed. Twice weekly now? Airport staff will be kept busy from early. I think SJU but only for emergencies and diversions..
We had Air Jamaica A340s here in PHX back in the 90s...it was a total failure but....I mean you never know...AA from PHX? Agree. Hopefully we will see a return of Blue Panorama for W19. TUI has been steadily increasing flights from key markets as LGW and MAN. MAN will see competition from Thomas Cook who will start a 1 weekly service. BHX came as a surprise as it is now operating year round. Hopefully they will throw in the B767s every now and then. Wow, never knew the A340s operated to PHX. The majority of flights were done with the A320s. PMUS served PHX-MBJ in 2009/2010. The service was short lived. 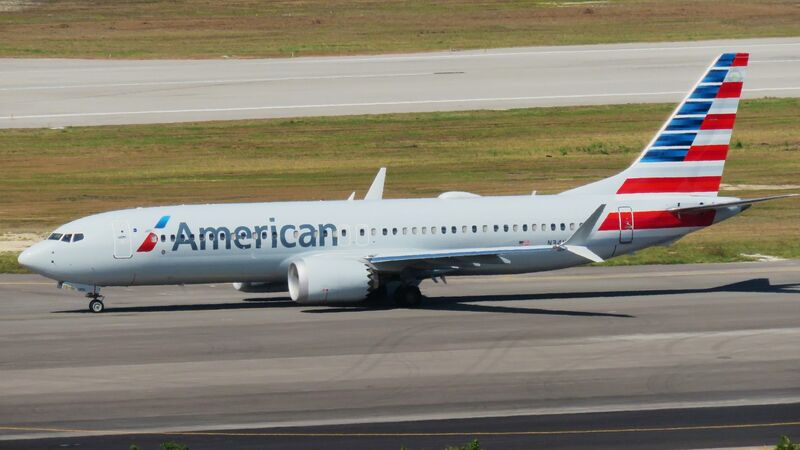 I doubt AA would open PHX -MBJ as their DFW hub is better positioned to serve that market. You can turn a crew on a DFW-MBJ flight, PHX crew will require a layover. 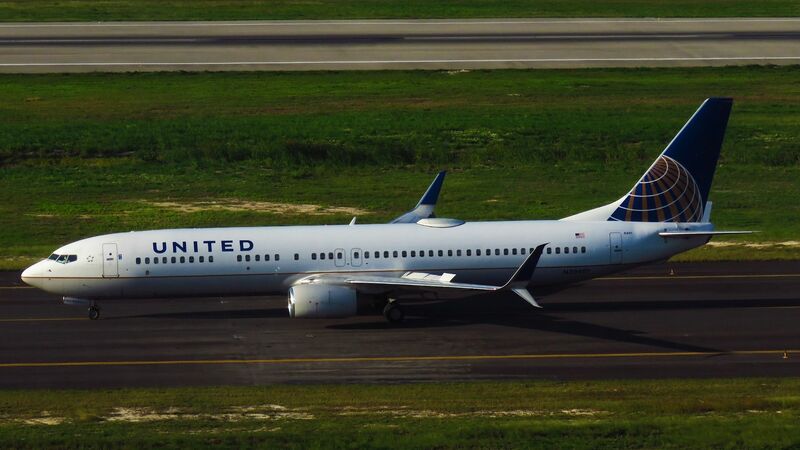 UA B739ER. This aircraft was a regular on the ORD-MBJ segment. Long live those "buckets". Age 32.6 years. 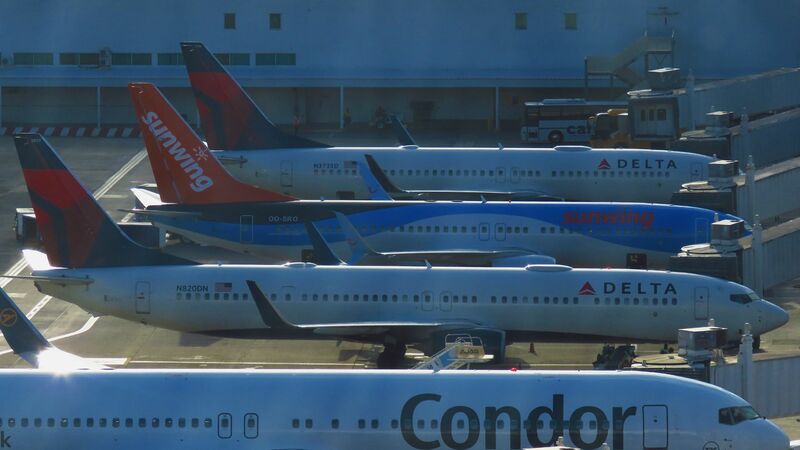 Two A321s with IAE engines side by side. DL's B737. This aircraft is deployed on their RON flight from ATL. AA's MAX8 adding to the list of MAX8 operators to MBJ. hmnn...my memory's failing me lol! JM operated the A340 to JFk and YYZ as well. Impressive line up over all indeed. Now let's see if/when WN will add FLL-KIN. From what I recall it was an A320 route. I was never expecting the PHX route to be successful. Not when you have DFW, IAH & MIA where the majors can connect passengers quite effortlessly. Add MAN to the list. They did MAN-KIN twice weekly as well with the A340s. Both Manchester and Heathrow were split between the 2 cities. Less well known is that even with a full passenger load with baggage the A340 could still carry 16 tons of cargo on the transatlantic flights. Walkerswood and Busha Browne in particular made use of this service. 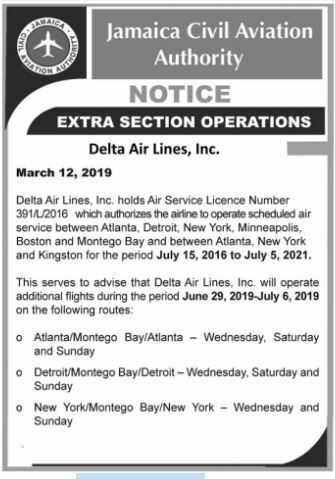 Based on DL's schedule Saturdays MBJ will see 3 B757s and 2 B739ERs for the period listed. For the period listed flights will operate 6 weekly. No flight on Sunday. I am always curious about the market segmentation on these CM flights into KIN. The MBJ-CUN was operated in the past with the B767s, it was featured in a Just Planes video. 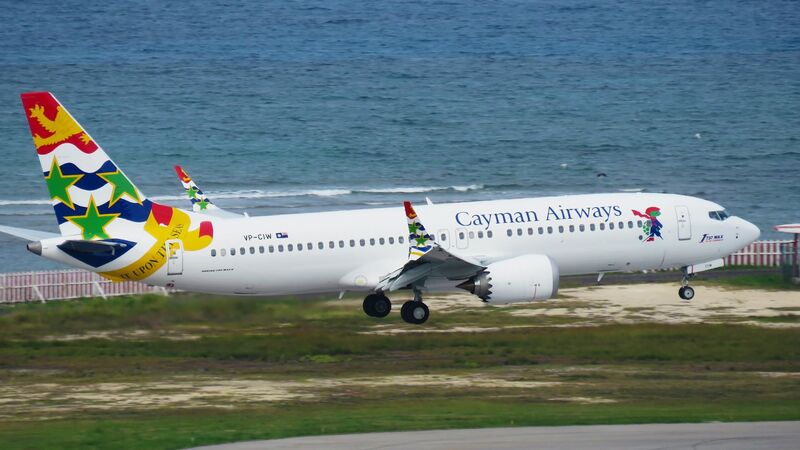 Following the crash of the Ethiopian Airlines B737 MAX8, one of the first carriers to ground their fleet was Cayman Airways who recently took delivery of their second MAX8. 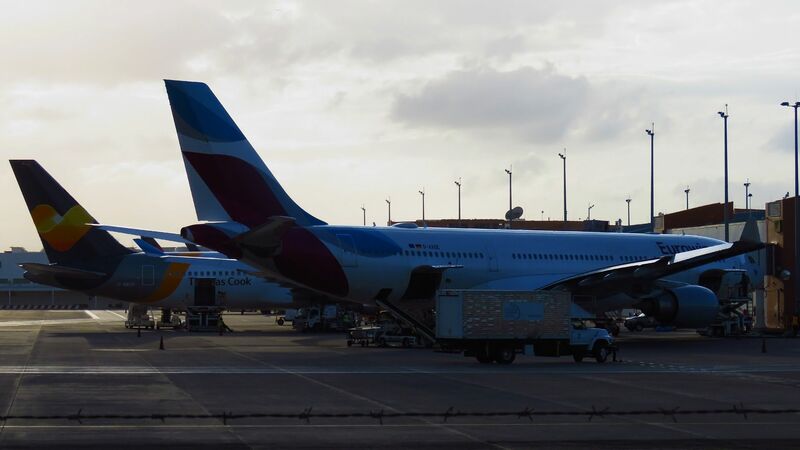 Mr. Whorms said Cayman Airways is currently working in coordination with both the Boeing Corporation and the Civil Aviation Authority of the Cayman Islands (CAACI) to monitor the investigation into Ethiopian Airlines Flight 302. 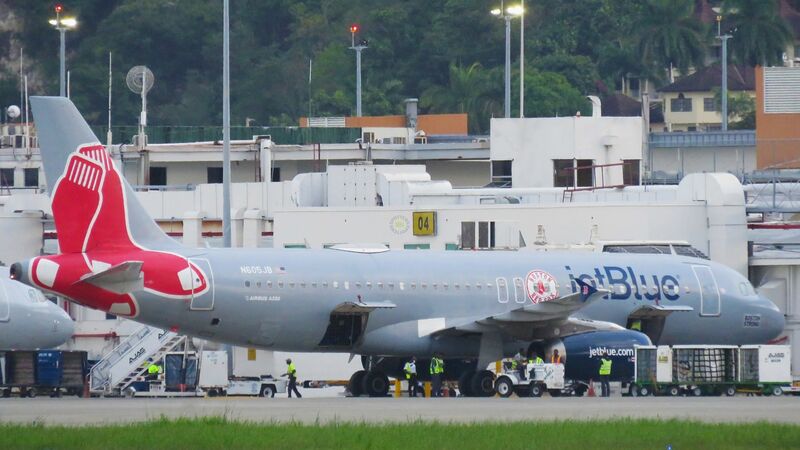 "We offer our valued customers our continued assurance that all prudent and necessary actions required for the safe operation of our Max 8's will be accomplished before the aircraft are returned to service," he said, adding that some relatively minor, but necessary schedule and capacity changes will be needed over the next few days to manage the flight schedule in instances where the national airline may be short on available aircraft. The JCAA has also followed major countries in banning the Max8 from operating in their airspace. Pretty much an empty threat. If they do decide to pull the plug on certain routes, where will they deploy the aircraft. I don't see a plethora of profitable new routes in their arena. 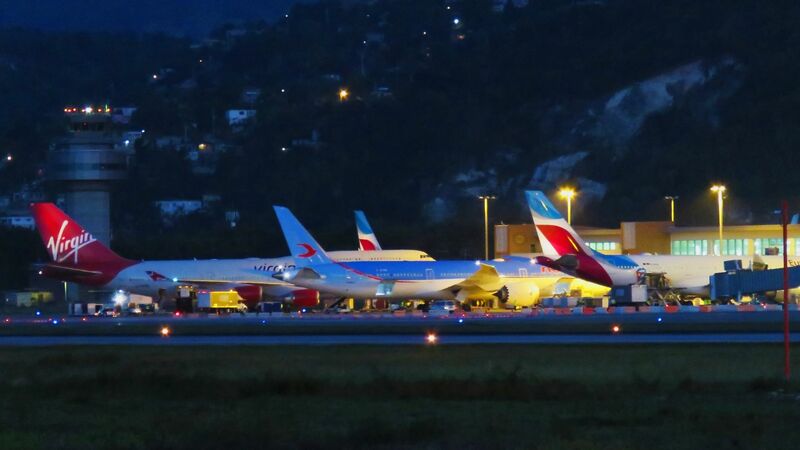 For example, two flights from St. Lucia to St. Vincent have average passenger loads of 46 per cent. 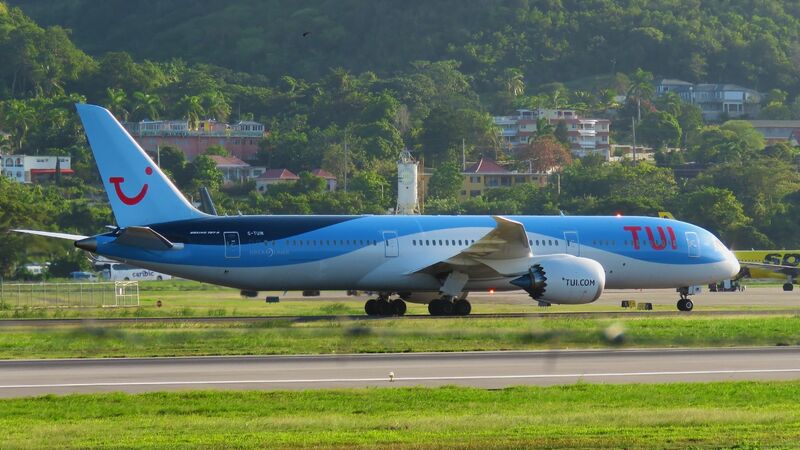 One of the flights from Trinidad has a 38 per cent average passenger load and Gonsalves said “maybe another air carrier, perhaps a small one registered in St. Vincent and the Grenadines, may fill the breach on the St. Lucia-St. Vincent. “In short, there are possible, reconfigured options. In this respect, the regulatory authorities are urged to address expeditiously application by other airlines — third-tier airlines — for the various routes in a reconfigured regional air transport industry,” Gonsalves said, adding that theoretically, several countries have no quarrel with the MRG. He said that in the “evolving saga”, among the things that the management of LAIT has done is to send MRG letters to 11 destinations, namely: Antigua, Barbados, Dominica, Grenada, Guyana, St. Kitts, St. Lucia, St. Martin, St. Vincent, Tortola and Trinidad. From what I recall it was an A320 route. I was never expecting the PHX route to be successful. I also remember it being an A320. The PHX flight arrived around 5:30am and most guests would arrive at the hotels around 7am. No fun working at the Front Desk telling guests they have to wait another 7 hours before their room is available. Back then Saturdays was a delight as both A340s would be parked beside each other in MBJ. Add HAV to that list. LHR-HAV while short lived was operated on behalf of Kuoni Travel. 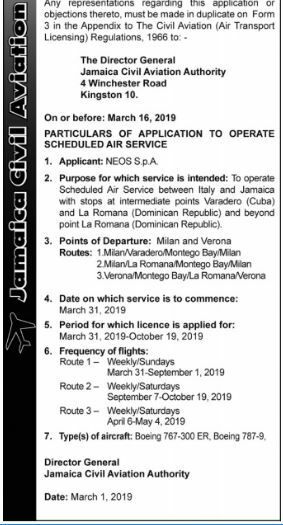 Re LIAT, a major problem for them is that one could argue that LIAT is too big for its network as it currently stands. If they cut routes, that problem only gets worse. 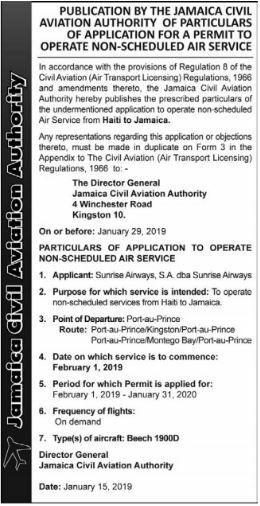 LIAT is going to have to downsize significantly if they choose to go that route because as you rightly point out, there aren't other potential routes out there for them to fly those planes. 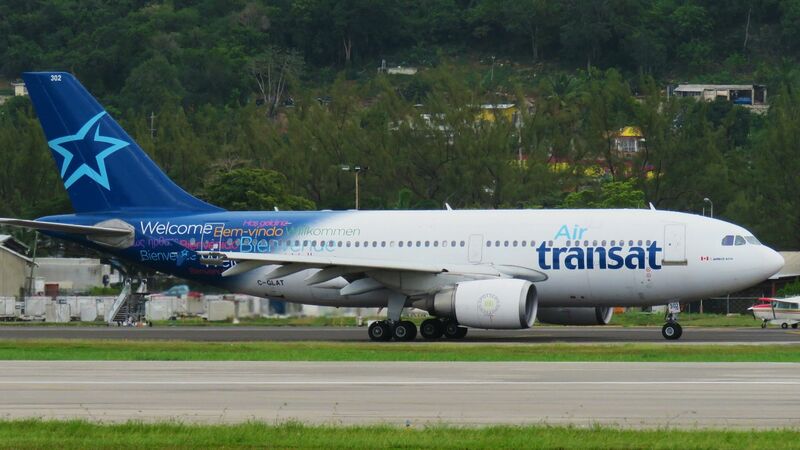 However, LIAT is unlikely downsize at that scale due to the fact that it's also a major employer in several islands. A downsizing may simply not be politically feasible. -If subsidy is requested I beleive LIAT should have presented a turn around plan as I can re assure they will be asking for more money from the said Governments in the next 2-3 months. 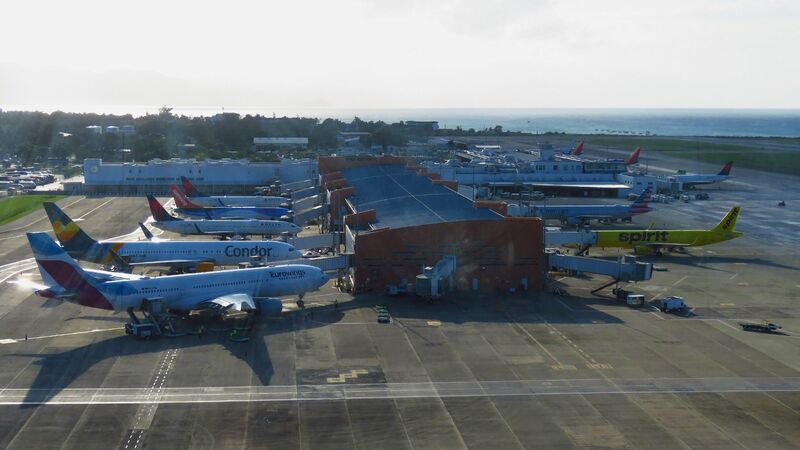 - LIAT has not requested MRGs from SXM, SJU,FDF and PTP. They know the answer will be, no. - I stand by Trinidad's decision not to engage LIAT re MRGs. -Unfortunately, this is the reality of the airline industry and downsizing is the next step in turning around the airline. - Privatization should be on the horizon, but such conditions will see privileges being lost and knowing how things operate in that side of the region, it will not be taken lightly. Time to return those Range Rovers. The only sizeable Caribbean carriers left are the state owned ones. Insel, Fly Jam, Redjet, Trans Island all gone. Only the tiny ones remain. 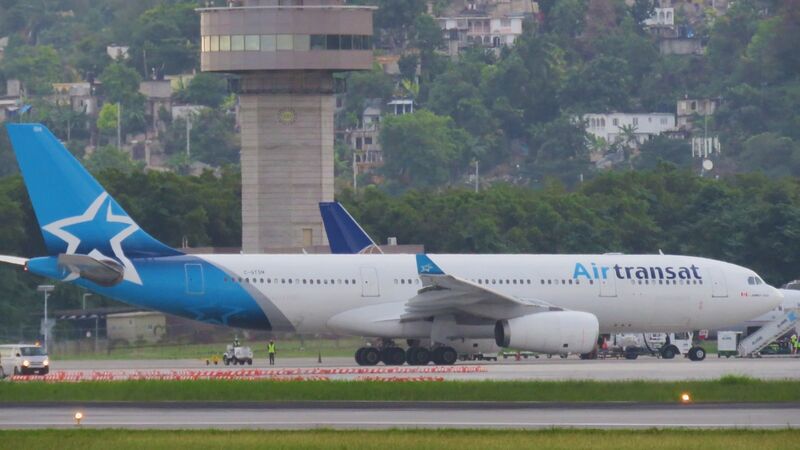 So LIAT isnt going to survive as a private carrier. Private ownership doesnt mean responsible management. Look at Redjet with its non viable business model. Insel's expansion of its Venezuela ops as that economy began to collapse and then expanding into loss making routes when Venezuela imploded. Or Inter Carib's over expansion, including its ill thought out attempt to buy Insel, which almost destroyed it. Or whatever is happening with Fly Jam. Carib Star lost even more $$ than LIAT did. There was also Carib Express and many others which failed. 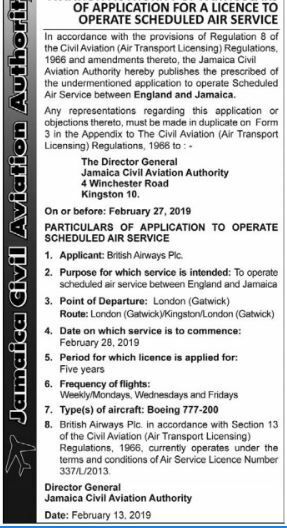 BWIA and Air Jamaica didn't do any better when they were privatized and the state had to take them back. Neither exist anymore. What should happen is that the shareholders should understand that they can no longer afford endless calls for cash, and the non owner islands aren't going to do anything more than the MRG which is now being demanded. And I bet Guyana isnt going to as they dont need LI. Yes LI is convenient for OGL, instead of GEO, but it isnt critical. 1. 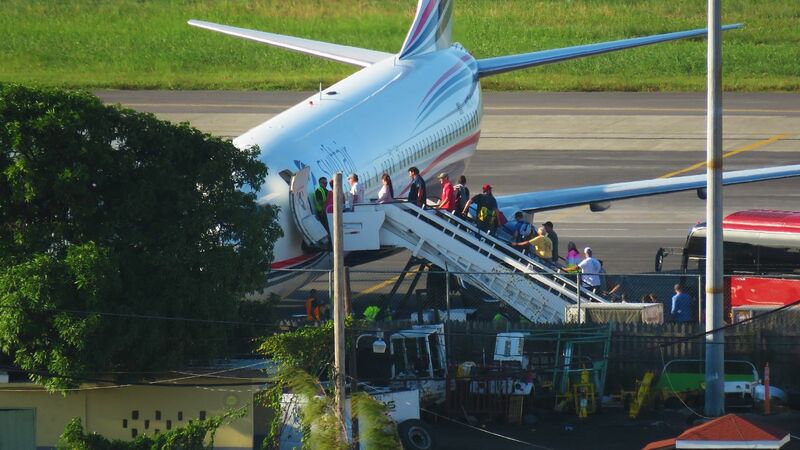 LIAT should be managed by people who have experience in running carriers of its type. Ralph G should keep away from Li. BGI can no longer afford t dump money into LI, so they must insist that it becomes viable, and the corrupt cabal of politically connected types leave the airline alone. 2. The onerous travel taxes drive up costs and kill intra regional travel. Rather than dumping cash into a loss making entity they need to remove or vastly reduce such taxes for intra CARICOM travel. More travel will increase the routes that offer consistent profits. 3. LIAT needs to understand its operations. I really suspect that they dont know which routes and destinations are profitable and which aren't. They need to dump loss making routes or demand MRGs just as the major carriers and BW does. These endless demands for cash with all the entitlement of a welfare queen cannot be sustained. And demands for privatization will not work. In its last days even Redjet was demanding $$$ from BGI and collapsed when that govt refused. LI should be state owned so its not driven by a need to maximize ROI, and in emergencies can get help, but it should be professionally managed. Ethiopian Airlines shows that this is possible. Ethiopia is hardly an exemplar of democratic governance so if they can leave ET alone surely OECS/BGI can as well. "Wow!" is all i'm able to say after reading through you analysis. Sadly, the powers-that-be would be too proud to give ear to such suggestions. The fact of the matter is that Trinidad doesn’t need LIAT. If there are routes of social importance that aren’t economical to fly, they can have BW fly them. So T&T def isn’t putting any money into LI. Guyana will likely tell LI similar as they don’t NEED LI either. While a nonstop link to BGI might be all well and good, it isn’t vital for Guyana. And if LI is losing money on BGI-OGL then they’re in way more trouble than we can imagine. POS-OGL is unnecessary as BW serves POS-GEO. Saint Kitts and Saint Lucia are in a slightly different situation as I feel like they definitely do need the connectivity to the rest of the region that LI provides. However, I don’t see either as likely to put money into it as flights to those destinations are likely profitable. 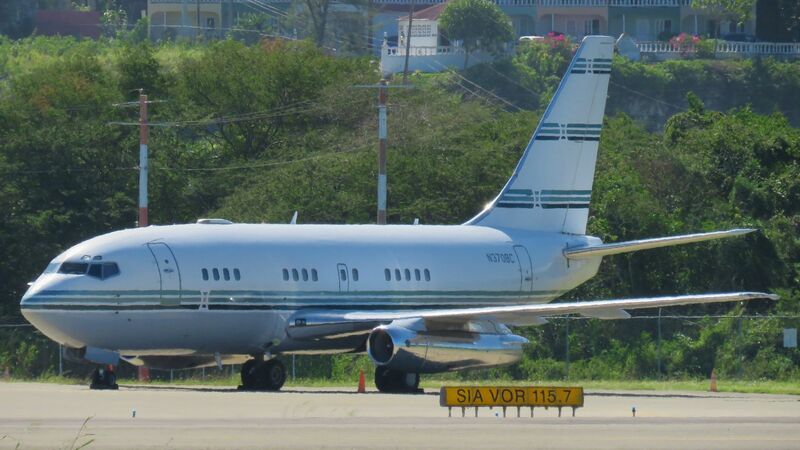 Grenada already has indicated that it will put money into LI as it should IMO as the flights there to/from BGI are vital to the island and are unlikely to be profitable. And Grenada is overall more dependent on LI in terms of total traffic than either Saint Kitts or Saint Lucia are. I don’t see any of the northern islands with the exception of Tortola (which apparently already has some form of arrangement) paying LI for service. It’s just not that vital to them.